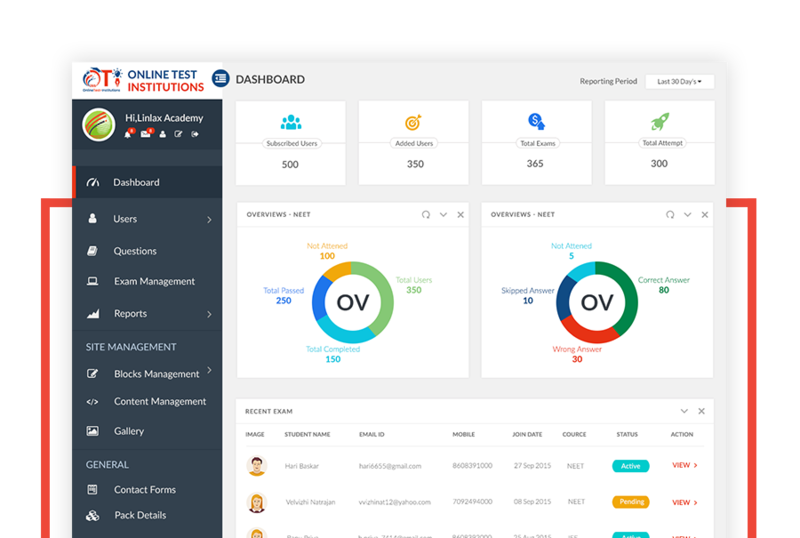 Online Test conducting Software For Institutions / Coaching Centers. Say Good Bye to complex software for institutions. 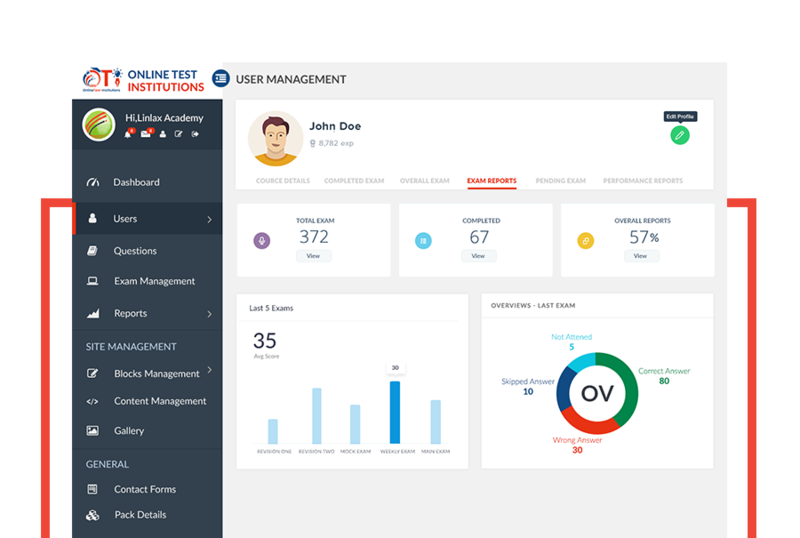 OTI365 [Online Tests for Institutions] is an innovative new Web application software that helps you to manage your institute / coaching center information, access it from anywhere in the world, and improve your institute growth and Students performance. 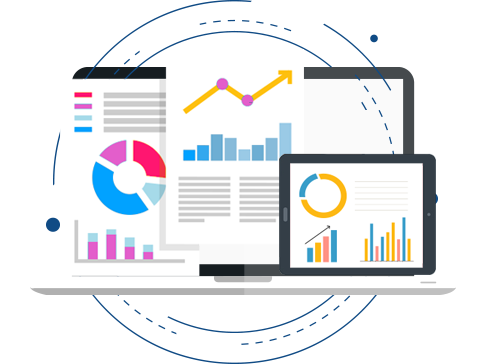 Advanced reporting system in onlinetestsindia offering detailed clarity over the marks obtained in each subject, chapters and more. Use our readymade question bank to efficiently for creating exams. 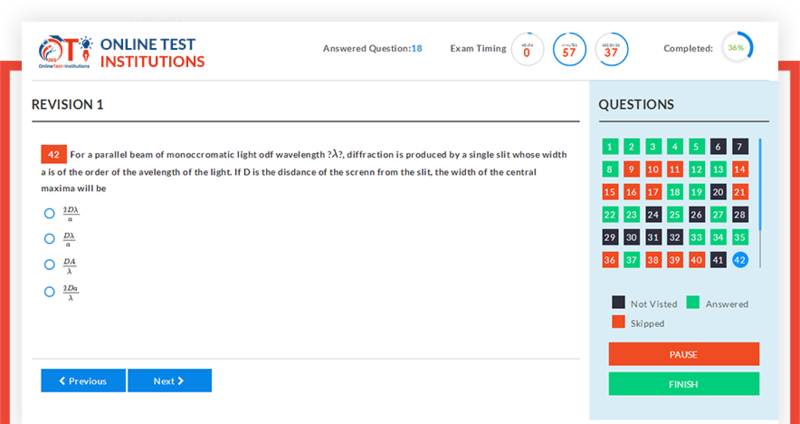 Just choose our automatic creation or blueprint options for creating exams to your students. Access anywhere ! anytime ! 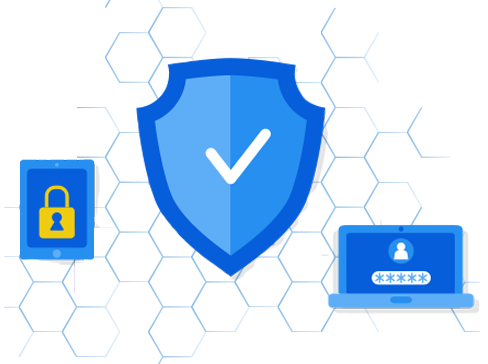 All exams and data security alerts are recorded and available to review anytime in your admin account. You can also deny or grant exam access for that candidate from your admin account. online tests india is designed for individuals, educational institutes, coaching centres , practice centre , business organizations and their candidates. Using it is easy for everyone. Exam pages are specially designed for candidates those who are preparing for recruitment, competitive, examination, etc. 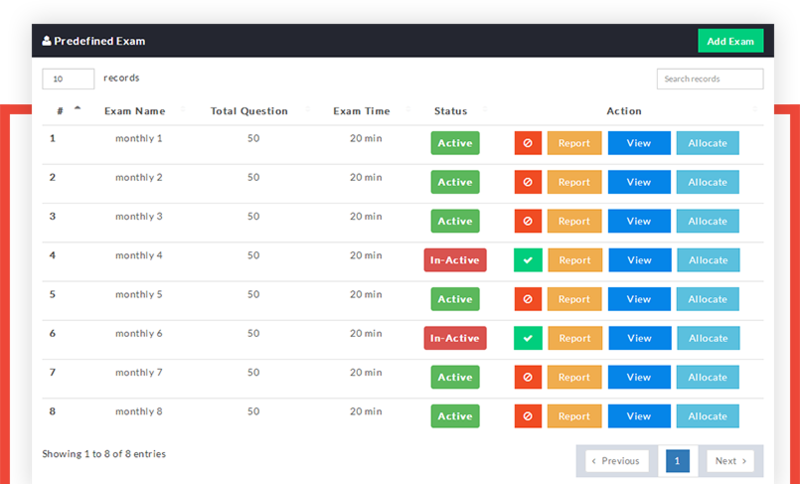 Instant scorecard generation, computational analysis for boost up your performance in the exams. Single solution for examination, preparation, evaluation and more. It helps to solve all your preparation worries. You can see the details such as candidates taking, completed and dropped exams with their number of attempts. Provide multisection workflow where the entire institute process is unified & provide a seamless growth of institution. Add new candidates and easily assign tests to the candidates to have a consistent track and monitor on the candidate's performance. Pack Management providing a real time experience. Improved classification of active, upcoming, missed and completed tests. the administrator can create exam categories like Engineering , Medical , CAT, GATE, GMAT, UPSC, SSC, TNPSC, Banking etc. for candidates preparing for an admissions and other exams. The Exam screen is specially designed for the ambitious set of candidates preparing for recruitment, competitive, examination, etc. Precise color combinations are used in the question pallet that changes color with a change in status. Taking an example: A candidate when marks a response to a particular question the screen color changes to green from white. However, the icon placement and the screen interface are designed such that the appearing candidate will experience a real-time examining environment.